Emplacement et Beach Street ~ vous nommer adresse pilote saura où trouver de nombreux routards étrangers dans la boutique, mais nous ne parvenons pas à vivre jusqu'à une histoire pleine perquisition WiFi ! Il s'agit moins satisfaisante ! The enchanting island of Koh Samui located off the Southern coast of Thailand, is highly prized for it's unspoilt tropical environment, pristine beaches, diverse shopping and non - stop nightlife. The uniquely named "AKWA Guesthouse" sits comfortably and individually in the island's trendiest area "Chaweng" and is the only "Funky Pop Art" Guesthouse, Restaurant & Bar. 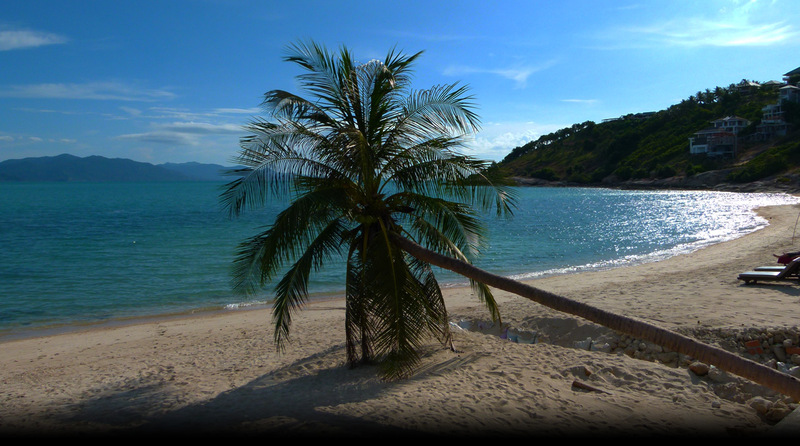 AKWA Guesthouse & Restaurant is located at the quiet end of Chaweng Beach. Far enough too escape the hustle and bustle but still only a 2 minutes stroll from Chaweng's famous and varied shopping and nightlife. Koh samui's best and famous beach, Chaweng and a lazy beach chairs, are only a 45 seconds, or 15 seconds run (if you are in a hurry) from the front doors the of AKWA Guesthouse. The Standard Rooms are located a stones throw from the AKWA Restaurant and main building. Chaweng Beach is minutes away. The beach is only a 45 seconds, or 15 second runs (if you are in a hurry), from the front doors the of AKWA Guesthouse & Restaurant. All of AKWA is unique. The individual and boutique style accommodation of the AKWA Standard Room provides the discerning holiday gore with an experience you will remember for years. The AKWA Deluxe Triple Studio is larger than the Standard Room. The Triple Studio rooms are located at the southern end of Chaweng Beach in AKWA's second Building, a gentle 4 minutes walk of the AKWA Restaurant and Main Building (or less than a minute using our free shuttle) on Chaweng Beach road. The Chaweng Beach is only a 45 second walk, or 15 second run (if you are in a hurry) from the front doors of the AKWA Guest House Restaurant and Main Building. The rooms have a balcony, overlooking the mountains and Chaweng Beach road. All rooms have two double king size comfy beds. The AKWA Deluxe Quadruple Studio is larger than the Standard Room. The Quadruple Studio rooms are located at the southern end of Chaweng Beach in AKWA's second Building, a gentle 4 minutes walk of the AKWA Restaurant and Main Building (or less than a minute using our free shuttle) on Chaweng Beach road. The Chaweng Beach is only a 45 second walk, or 15 second run (if you are in a hurry) from the front doors of the AKWA Guest House Restaurant and Main Building. The rooms have a balcony, overlooking the mountains and Chaweng Beach road. All rooms have two double king size comfy beds. The AKWA Deluxe Rooms is located at the southern end of Chaweng Beach in the main AKWA building. Chaweng Beach is only a 45 seconds, or 15 seconds run (if you are in a hurry), from the front doors the of AKWA Guesthouse. All of AKWA is unique. The individual and boutique style accommodation of the AKWA Deluxe Room provides the discerning holiday goer with an experience you will remember for years. The room rate excludes breakfast (Thou A la carte breakfast is available all day long till we close). The 2 AKWA Penthouses are located on the top floors of the AKWA Guesthouse complexes and are all generous Pop Art Inspired Funky Studios, which includes all modern conveniences. They 2 are slightly different yes they all boast a large terrace with dining for 4 and a teak sun bed or 2. Each has a modern bathroom with a variety of luxurious toiletries, 2 have a private bath tub overlooking the terrace. Note: The latest check in time can not exceed 11:00 pm, if you arrive after 11:00 pm it may and could be at your own risk as our Reception / Bar may close at 11:00 pm, Thou should you arrive after this time it is at your own risk and you may have to pay at your own cost an additionally accommodation fee for that evening / morning and that nights fee that you owe AKWA will not be refundable. AKWA Restaurant offers imaginative and contemporary cuisine ranging from well known tasty every day fare to cutting edge culinary innovation. Breakfast is served all day and AKWA restaurant is open from 08:00 am. through to midnight every day. We at AKWA realize the importance of fine wine, fresh cocktails and cold beer. For relaxation of the mind and body a myriad of activities are available for guests of AKWA Guesthouse & Restaurant. You can go for a leisurely swim in the warm waters of The Gulf of Thailand, Perhaps go windsurfing with the tropical breezes. Go sightseeing at some of the inland tropical waterfalls. There are also a myriad of Day Spas right near your front door. Or you may prefer to stay indoors and enjoy a delicious meal, a cocktail, glass of wine of a cold beer from AKWA's extensive drink list in the restaurant and bar.